Creative Connection is a nationally syndicated, thirty-minute, daily radio program hosted by Ed Young, senior pastor of Fellowship Church. The contemporary and cutting-edge show was initially produced off-site in a local studio in the Dallas/Fort Worth area. 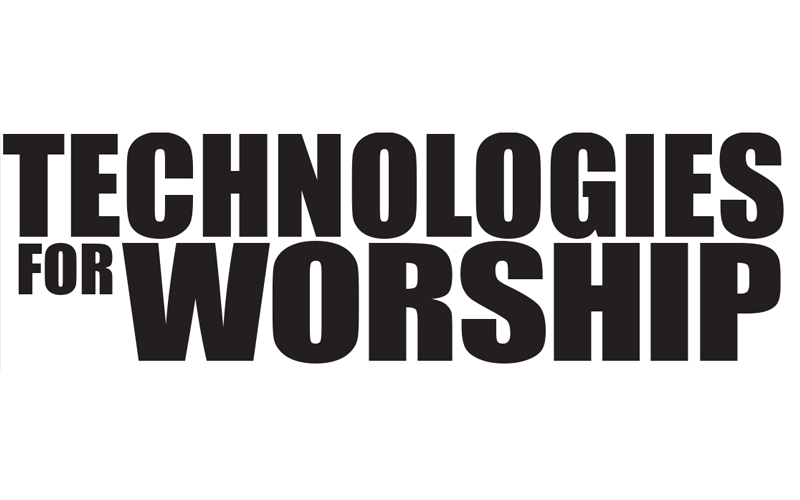 The inconvenience of travel for the staff and the vision for the program itself, however, led Fellowship Church to move to in-house production. “We wanted it to be personal, more intimate. Originally, the show was built exclusively from Ed’s weekend messages. The new studio gives us the opportunity to focus more on one-on-one type teaching,” explains Scott Peck, Producer/Editor of Creative Connection. Unlike churches building new facilities, Fellowship, which reaches 18,000 each weekend, had to provide a studio within existing space. A large storage room adjacent to the main Worship Center became the obvious choice for locating the voice over booth, control room, duplication room and producer’s office, since the space wasn’t occupied. Adapting to and working with existing conditions, however, became the key element in the success of the project. Fellowship reached out to Acoustic Dimensions (AD) to design the acoustics, sound isolation and noise control for the challenging space. Having worked previously with the church, and its architect, The Beck Group, AD was already familiar with Fellowship’s technical production demands and understood their need for a quiet, professional facility, provided within their means. The most significant challenge came from the location of the rooms – directly adjacent to a large air handler that serves the main Worship Center. Because neither the budget nor the physical spatial volume was expansive enough, extensive isolation constructions to address structure-borne noise were not an option. 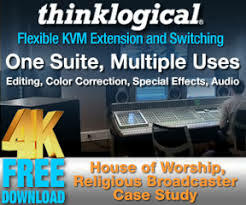 Therefore, AD advised Fellowship to control usage administratively, limiting studio time to only those periods when the Worship Center is unoccupied. This straightforward solution makes it possible to eliminate the noise during recording by simply turning the fans off. To minimize background noise from the air system serving the radio studio, AD recommended several measures, from carefully sizing the ductwork for low air turbulence, to providing acoustical lining inside the ductwork. AD even specified conditions for controlling noise and vibration at the fan source. These angled walls, supplemented by carefully placed surface treatments, also help control acoustical reflections in the mixing room. AD specified finishes that allowed for the most “bang for the buck”, including a carpeted floor and prefabricated panels for absorption, as well as prefabricated diffusers. Well-distributed, uniform coverage of absorptive and reflective ceiling surfaces was achieved within an economical grid system. “Acoustic Dimensions did a really good job with the RPG diffusion in the back of the room and with the placement of the absorptive sound paneling,” notes Taylor. In addition to room acoustics, AD provided the architectural accommodations for the production equipment. 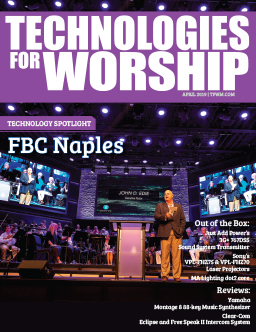 Although Fellowship Church had decided to install the systems themselves once architectural renovations were complete, it was critical that issues such as proper wiring and placement of outlets were coordinated prior to construction. AD’s front-end design work in both acoustics and technical accommodation ensured the church a designated space that allows them to record and distribute the pastor’s message with a minimum turnaround time and without the hassle of a rented studio. “For us, the main focus was speed. ProTools allows us to work efficiently and quickly at high quality,which is important for what is right now a two-man operation,” Peck elaborates. “With the almost unlimited amount of plug-ins, we didn’t need a lot of outboard gear in order for the program to sound good,” adds Taylor.